Gopabandhu Das popularly known as “Utkalmani” or “Gem of Odisha” was born on 9th October 1877, in a noble Brahmin family in a village called Suando which is situated on the banks of river Bhargabhi in the district of Puri, Odisha. His father’s name was Shree Daitari Dash and his mother’s name was Swarnamayee Devi. He passed his B.A from Revenshaw College in 1904 and later passed B.L. from Calcutta University in 1906. After coming back from Kolkata, he worked as a Government lawyer in Mayurbhanj court. Law did not interest him, so he gave up his practice and worked for the welfare of the people. He considered education to be the potential instrument of national development. Gopabandhu, therefore, desired to impart a kind of education with broader aims to build “good life” and bring about national revival. In his mission to work for a better society and welfare of the common masses he established a school, “Satyavadi Vana Vidyalaya” in the year 1909, at Sakhigopal, a place of pilgrimage near Puri, which turned into a high school in 1910. The school then got affiliated to the Calcutta University and for the first time matriculation exam was held in the year of 1914. The school got affiliated to another leading University of the country, Patna University in the year 1917. Due to huge success of the school it was converted to a National school in the year 1921. Pandit Gopabandhu Das got huge recognition and appreciation for his efforts to improve education standards of the State of Odisha. Gopabandhu was member of Vidhan Sabha (State Assembly) of Bihar and Odisha from 1917 to 1921. As an administrator he took initiative steps for the upliftment of the people of Odisha suffering from constant natural calamities like flood, cyclone and famine as well as social evils like illiteracy, poverty and disease. He also contributed immensely in the National struggle towards achieving freedom. In the realm of Journalism, Pandit Gopabandhu Das started the weekly newspaper “Samaj” October 04, 1919, which is today a leading daily newspaper in Odisha. Initially it was published from Sakhigopal, but later it moved to Puri and finally to Cuttack, from where it is still being published today. Before “Samaj” he had also published another monthly magazine named “Satyabadi” in the year 1914. Pandit Gopabandhu Das was truly a versatile personality. He was an eminent writer and poet. Some of his poems like “Ma Ra Kabita “, “Dharmapada”, “Bandi Ra Atma Katha”, “Kara Kabita”, “Dharmapada”, are testimony of his evident skills of a great poet. He died on June 17, 1928. Great to read the biography again.Come across a mistake.Please check the date of birth of utkalamani gopabandhu das & rectify. 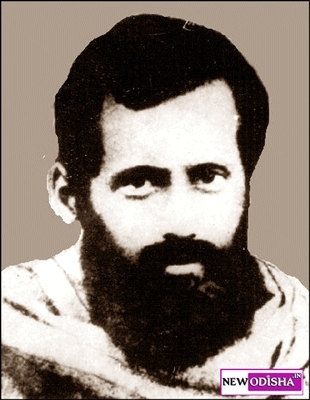 Give Responses for "Utkalmani Gopabandhu Das Profile, Biography and Wallpapers"